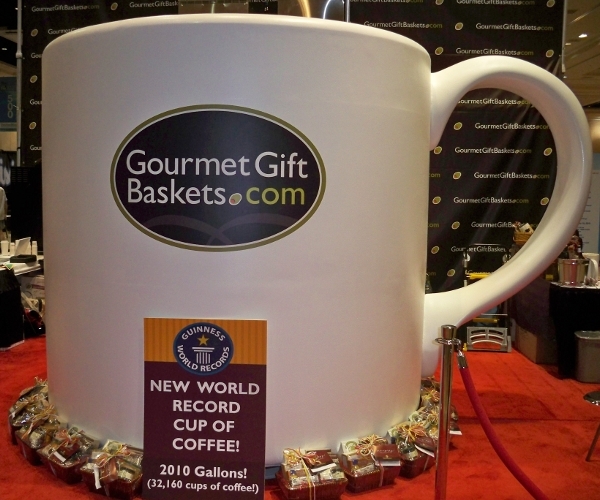 We’re at the BlogWorld Expo this week in Las Vegas, so it should come as no surprise to you that we’re bringing you an interview about the Guinness World Record for the largest cup of coffee ever, right? Only in Vegas does this work, and heck it is certainly one big cup of coffee – in fact its about twice as big as the previous record holding cup of joe. We interviewed both the president of GourmetGiftBaskets.com (which received the record) as well as a representative from Guinness who was here in Vegas to confirm the record. So, sit down with a much, much smaller cup of coffee, and enjoy! Read next: The changing face of blogging? Thoughts from Blogworld Expo 2010.